Circumstances vs. Qualities in personal injury cases. >> Circumstances vs. Qualities in personal injury cases. Most personal injury lawyers look solely at the circumstances of the potential cases when they review and consider taking on potential clients. At Sally Morin Personal Injury Lawyers, we look more to the qualities of the client when we make these decisions. 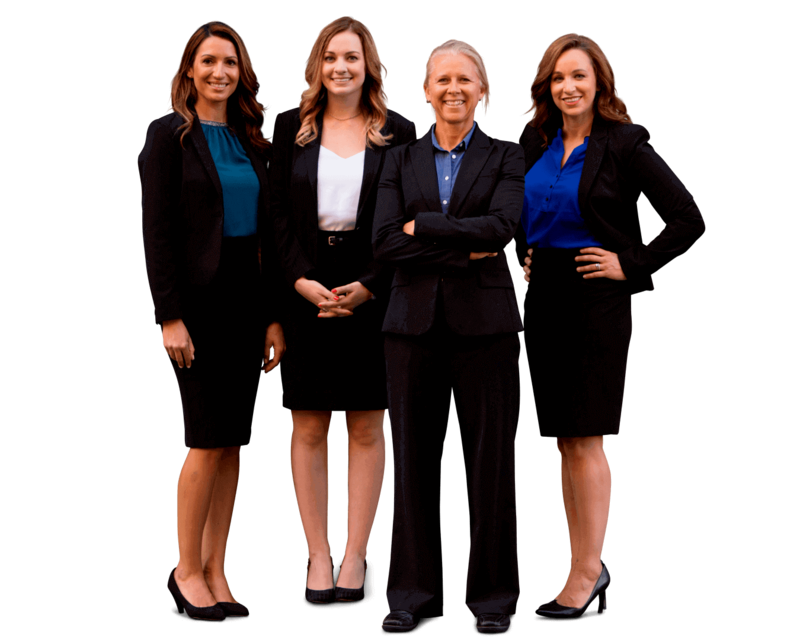 We do this because we want to carefully select clients who will be best served by our firm. We want to get a good fit, so the client is fully supported through the confusing process of his or her personal injury case. To get this fit, we choose clients we like and those who we think will work well with our particular practice style so that client experiences the best service possible with the least amount of stress. The circumstances of a personal injury case (which is the sole focus of most personal injury attorneys) are those that the client finds themselves in when they are in a bicycle, motorcycle, pedestrian or auto accident. These are things such as: They were hit by a car. They broke their leg. They were on 16th Street. They went to the hospital. The accident happened last Saturday. Those are the circumstancesof the case. Obviously you have to look at the circumstances to some degree. If somebody slips and falls, let’s say, that’s not a case that our office would take, as we have a narrow practice focus of only bicycle, motorcycle, pedestrian and auto accident cases. Or, if they client only suffered a sore neck for a couple of days, that is not a serious injury that is typical in the cases we handle. Also, if the case occurred in California or not, that’s a circumstance that is crucial to consider. The circumstances of the case are important, but we take a thorough look at the qualities of the client as well, rather than just the circumstances of their case. The qualities we look for in potential new clients are things such as: The client is reasonable, fair, optimistic and realistic despite the circumstances of his or her case. The client is somebody who understands that we are not “going after” the person who made a mistake and hurt them. We are not going after them personally to bleed them dry or take their home from them and make them file bankruptcy. We look for potential clients who are reasonable and have a quality of fairness and wanting to be compensated adequately by the other party’s insurance. Another quality that we look for in potential clients is a positive outlook on life. I don’t think many personal injury attorneys look to that when they are considering new clients. They just ask “Are you hurt? Are you hurt bad? Yes? Ok, we want you! Sign on the dotted line!” They don’t take into consideration whether or not their law firm is a good fit with the potential new client. They just see dollar signs and get the client to hire them. On the other hand, our office is more like “Hey, we understand you are hurt badly but you are still maintaining a relatively good attitude about things, despite your circumstances. Your main focus is to get back to the life you had before the accident. That’s awesome and we want to work with that because that is how we go through my life. We are a good fit!” Doesn’t that sound like a much more enjoyable, healthy and fulfilling working relationship? One other quality we look for in “all-star” clients is whether they are tech-savvy. This is super helpful for an optimal relationship with the client. This allows for seamless interaction which helps to reduce stress and allow the client to focus on healing from their injuries, rather than deal with paperwork and multiple trips down to our office. Our office is paperless and we function really well with clients via email, text and cloud-based documentation. We use Google Docs, Drop box, apps, email and text messaging to share information with clients. We have integrated online forms, clients can sign up with us electronically. We do everything we can to make it quick and easy for our clients, so they don’t have to deal with traffic and come downtown to our office to meet in person (unless they really want to see us… I mean, weare cute ;). The bottom line is that over the course of almost 20 years of working as a San Francisco and Los Angeles personal injury attorney, I’ve learned to look at the qualities, not just the circumstances, and it has made me, my team and my clients that much more stoked!